The project site is situated in the southern sector of the Triel-sur-Seine municipality, straddling the northern border of the Carrières-sous-Poissy municipality. It is directly connected to the proposed Peuple de l’herbe park to the south and the proposed ZAC Ecopôle integrated development zone to the west. The Coeur vert project is designed to facilitate the rehabilitation of abandoned and polluted areas. It extends over 300 hectares in the Seine loop (encompassing the municipalities of Triel-sur-Seine, Chanteloup-les-Vignes, Carrières-sous-Poissy and Andrésy). 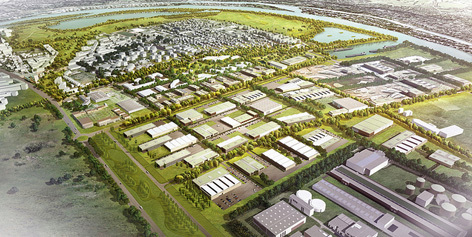 The Ecopôle Seine Aval is a 200ha business park situated at the heart of the Confluence Seine Oise area. 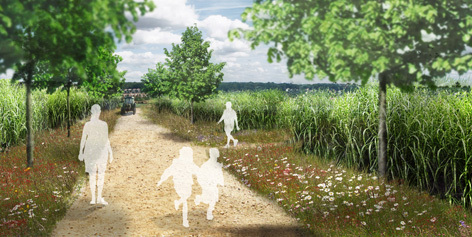 It follows on, both geographically and functionally, from the Carrières Centralité urban planning project and the Yvelines département’s biggest recreational and landscaped park, which will be developed in 2014 on over 113ha for the enjoyment of families and nature lovers. 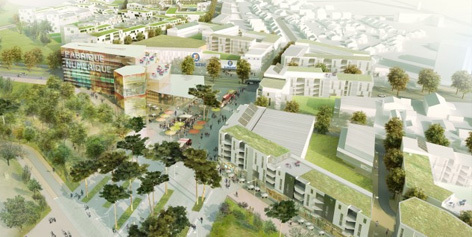 This is a state-run integrated development zone designed to serve as a new central hub for Carrières-sous-Poissy. 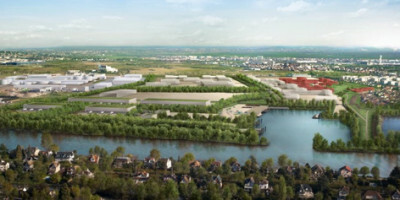 It is a major project in the OIN Seine Aval operation for the downstream Seine area, led by the EPAMSA statutory development body in close partnership with the town of Carrières-sous-Poissy and the Communauté d’agglomération 2 Rives de Seine conurbation. 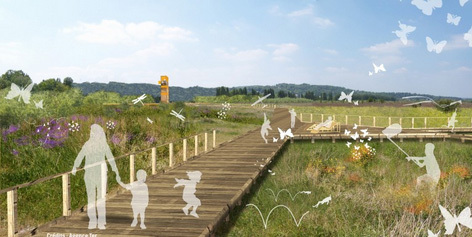 Making the living environment more attractive by protecting and developing natural areas is one of the Département’s top priorities, especially in the Seine valley.